You blazed through The Chronicles of Narnia, Redwall, and the Ranger’s Apprentice. Now what? While your favorite books will probably stay your favorites for all your life, fasten your seat belts because there are great fantasy books for Christian teens ahead! If your teen devours every fantasy novel you can find, or if you are looking for a book that will give you an escape for this world, here’s your list! May it act as a map to guide you through new dangers, passed hungry trolls, and over the mountains to a safe haven. I’ve included some of my “to read” list. If I haven’t read a book, I put a star at the end of the author’s name. Not all books from all authors are listed. If you like an author, check out the rest of his/her books. Not all books are written by Christian authors. If there is something objectionable that I know about, I note them at the bottom of their section. The PDF comes with a handy box in front of each box for you to check off when you have finished reading it. There are currently 66 books on this list! But it’s not finished! 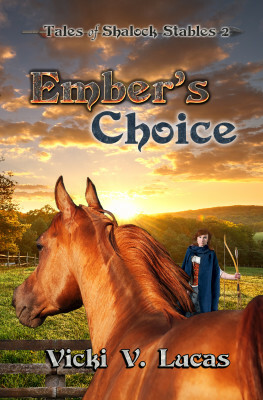 I will continue to add books as more fantasy novels come to my attention. To get updates, sign up for my newsletter here. There is another list for grade school kids and tweens called The Ultimate Fantasy Book List for Christian Kids (and those who wish they were). Check that out to grow up more kids that love fantasy. Now gird thyself in armor! Take up your sword, your arrows. Prepare to ride your dragon or slay it (whatever may be your adventure). Brave the mountains with their hazards of snow and treacherous caves that lead to goblins. Prepare to ride into battle with no hope of surviving. Notes: Eragon: Inheritance Cycle has some eastern religion weaved into the second book as well as violence in all the books. I included Hind’s Feet on High Places, even though it’s not necessary a fantasy, because it’s an amazing book. Also, Arena falls more under science fiction, but you’ll love it. Again, the Dragonriders of Pern series isn’t purely fantasy, but it’s a series I have enjoyed. There are some adult scenes in it, so prepared to skip that part. If you like them, there are 21 of them in the whole series. 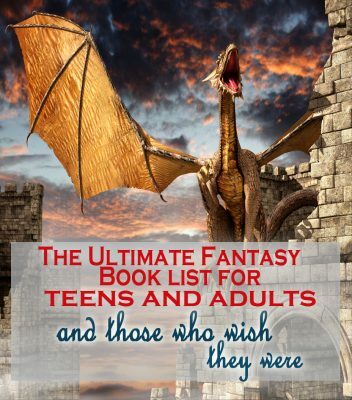 Click here to down the PDF list of The Ultimate Fantasy List for Christian Teens and Adults. And don’t forget to check out The Ultimate Fantasy Book List for Christian Kids (and those who still think they are)! What books did I miss? Let me know in the comments! 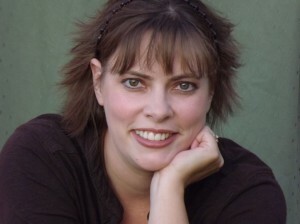 There’s also Jill Williamson, the author of the “Blood of Kings” trilogy, who is recently writing a new series for teens/adults. The series is called “The Kinsman Chronicles”. If you read “Blood of Kings”, “The Kinsman Chronicles” are sort of like a prequel. I have yet to read “Blood of Kings”, but the Kinsman Chronicles are amazing! Oh, thanks! I’ll add this series too!